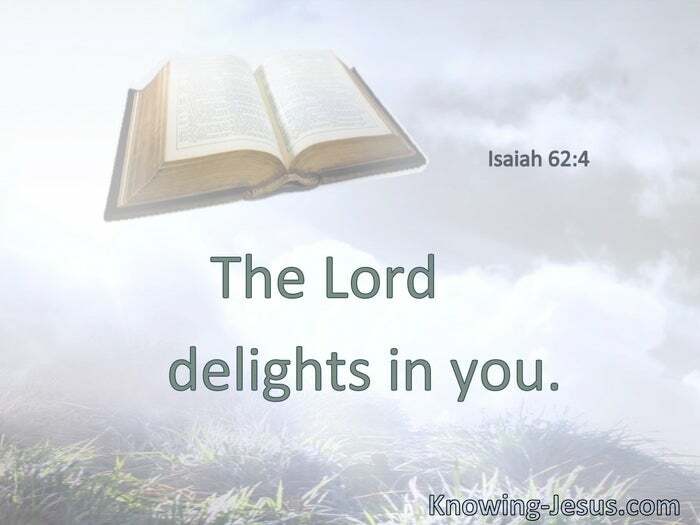 The Lord delights in you. Thus says the Lord, who created you … “Fear not, for I have redeemed you; I have called you by your name; you are Mine.” § Can a woman forget her nursing child, and not have compassion on the son of her womb? Surely they may forget, yet I will not forget you. See, I have inscribed you on the palms of My hands; your walls are continually before Me. 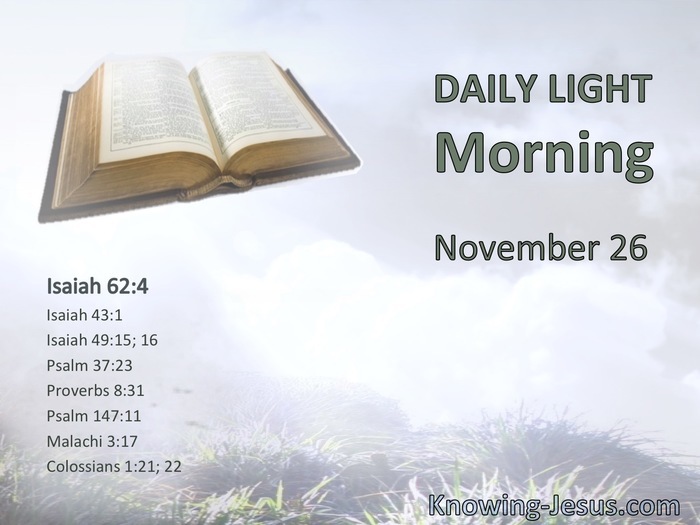 You, who once were alienated and enemies in your mind by wicked works, yet now He has reconciled in the body of His flesh through death, to present you holy, and blameless, and above reproach in His sight.